No options available for 'Copy of Optional Service Manual' at this time. 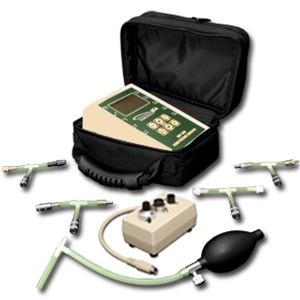 NIBP 1040 Kit includes: NIBP-1040-BE, Soft Carrying Case, 5 Adapters. 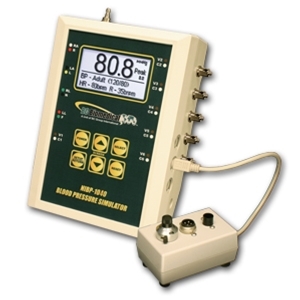 The NIBP-1040 Series are microprocessor-based, high precision, non-invasive Blood Pressure (NIBP) Simulators. The units are small, easy to use and have multiple features to fit many different applications. The NIBP-1040 offers ECG waveforms that are full QRS and respiration waveforms that look real. 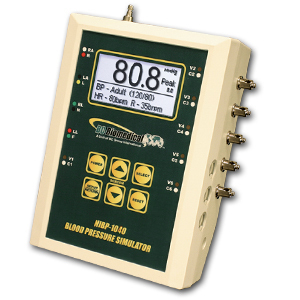 The NIBP-1040 offers invasive blood pressure, temperature, arrhythmias and a Leak Rate test mode. Additionally, the NIBP-1040 comes with fetal/maternal and cardiac output modes (including an MCO-2100 breakout box). The graphic display provides multiple screens that give the pressure digitally in mmHg and the overall pressure or a close-up of the BP waveform.